Experienced pest and vermin management specialists. We provide affordable domestic and commercial pest control services, throughout Hampshire including Winchester, Southampton, Portsmouth and all surrounding areas. Rats are capable of reproducing at six weeks old, and can have up to five litters per year if conditions are suitable. The litter size can range from 6-14 young. The average lifespan of a wild rat is less than a year. Wasps measure about 1.6 centimetres long and have a striped yellow and black body. Two species of wasp are found locally – ‘common wasps’ and ‘German wasps’. Both are known for their sting. Although ants are generally harmless, they don’t make pleasant house guests. In this article you can find out how to identify an ant, learn about the habits of these sociable little insects and get practical tips on how to get rid of them. Adult bed bugs are oval, wingless insects, which are about 5-7 mm long. They are flattened dorsoventrally and this particular feature allows them to hide in narrow spaces such as into cracks and crevices. 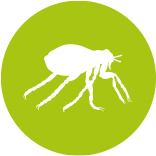 Fleas have well developed muscles in the hind limbs and a unique skeletal structure, which are special adaptations for jumping. They have no wings, reduced or no compound eyes and piercing and sucking mouth parts. Mice are hardy little creatures, so if there’s a mouse in your house you may want to know a bit more about what makes it tick. Their fur is brown/grey, with slightly lighter shading on their underside. 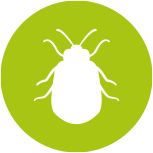 Why choose us for pest management in Hampshire? 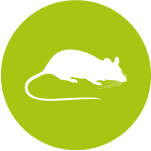 Established for over 25 years, Winchester Pest Control is a professional, family-run business based in Chandler’s Ford providing excellent vermin and pest control services within Winchester, Southampton, Portsmouth, Salisbury, Andover, Alton, Eastleigh, Romsey and all surrounding areas. We carry out a range of Commercial Contracts for various clients, including Local Authorities, Schools, Universities, Colleges, Zoos and Pubs. 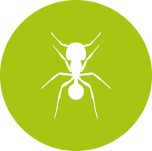 Reliable and efficient local pest control services throughout Hampshire. Winchester Pest Control is a family-run business who have gained an excellent reputation within the industry and the local area. The quality of the services we offer is of such a high standard that we have an excellent and long lasting relationship with all of our clients and we hold reliability and customer satisfaction of utmost importance. Based in Chandlers Ford, we offer our local pest control services to both residential and Commercial customers all over Hampshire. At Winchester Pest Control we offer a range of highly affordable commercial pest control contracts for a wide variety of organisations across Hampshire including Portsmouth, Southampton, Winchester, Salisbury and all surrounding areas and offer a range of packages depending on your requirements. 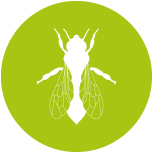 From schools and colleges to restaurants and pubs we have the packages to cater for a wide range of Pest Management solutions. We undertake all projects with the utmost professionalism and guarantee to deliver results. Do you have a problem with rats? Have you had a problem with rats for months or even years? ‌‌‌ Have you had treatments but still have rats in your property? IF YOUR ANSWER IS YES TO ANY OF THE ABOVE, WE CAN HELP YOU. We not only carry out a treatment to rid your property of the infestation, but we also carry out an investigation to try and find out how the rodents are entering your property, which may involve a drain inspection. Had rats in the loft and under the floor, these guys were quick to respond and thorough in getting rid of the rats. Explained what needed doing (and what it would cost), and got on top of the problem quickly and efficiently. Competitively priced, and I would recommend this company to anyone without hesitation. Would I use them again? – Yes, but hopefully won’t have to! 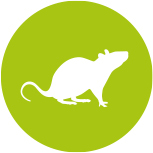 Thank you for the service you provided and the ‘no fuss’ professional approach to getting rid of the rats after two weeks and then confirmed with your extra visit after three weeks. Great explanation, great detective work and great advice! Highly recommended and I would definitely use again should the need arise! I have used Winchester Pest Control on various occasions over the years to to deal with wasps nests and rats. I have always found them to be pleasant, polite, reliable and efficient. We used Winchester Pest Control to get rid of 2 wasp nests and a hornets nest. They did a first class job, no mess, very reasonable prices and more importantly no wasps or hornets after their visit. They really know their subject. We have also used them to get rid of rats in our roof in the past. Once again excellent, efficient and no more rats!